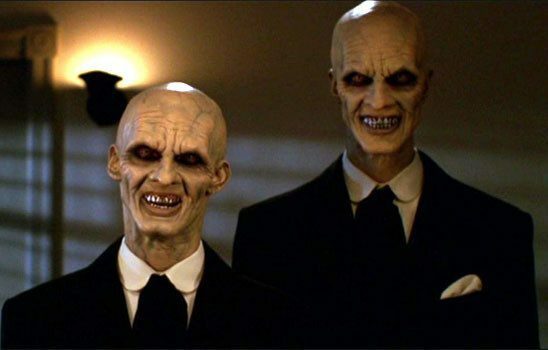 In Buffy the Vampire Slayer, the Gentlemen commit horrific murders in complete silence. If your big bad doesn’t feel threatening, your story will lose its power. Unfortunately, making an intimidating antagonist isn’t as simple as replicating Dracula or Darth Vader and putting them in the path of the main character. But with a little thought, you can make any villain scary. Get started with these guidelines. 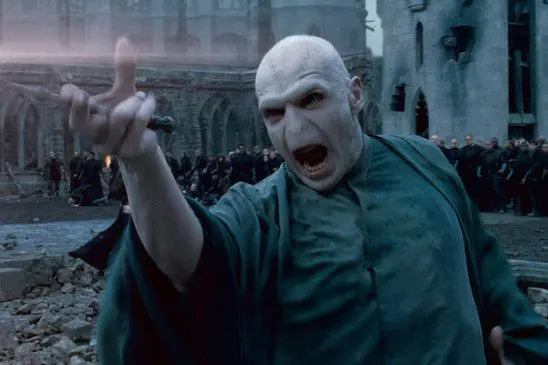 Rowling describes Voldemort’s crimes in depth before Harry has to face him. Many storytellers think that cloaking their villain in shadow and showing them make evil plans in their big, dark castle is enough to demonstrate how dangerous they are. But giving them the semblance of a typical villain won’t make them feel threatening. To establish a character as a threat, the audience needs to know the devastation they’ve caused. Do the youths of the village disappear from their beds at night, only to reappear as the undead servants of the local necromancer? Did all the surrounding cities fall under the tyranny of BioGen Corporation, leaving the last free settlement without allies? Did the little orphan push their own parents into the sea? Communicate what your villain has done that’s so dangerous and terrible. Use eerie details to enhance the threat or build up to it. Tales might say that the necromancer looks like a woman with no face, wearing a wedding gown. Corporate spies report that the CEO of BioGen was at a big gala and a factory inspection at the same time. Every day the little orphan stares into the well, completely motionless, for several hours. 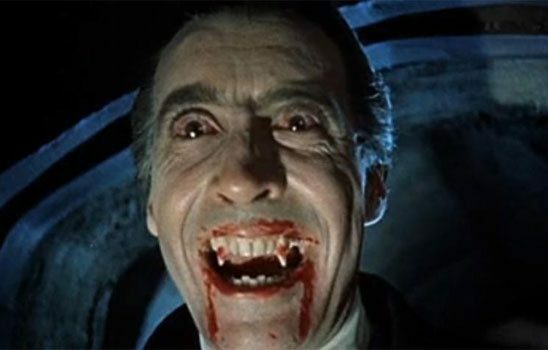 Traditional depictions of Dracula are now silly rather than frightening. If you embrace overdone stereotypes, your villain will come off as cheesy and comical. Any chance you had at making them threatening will be destroyed. To be effective, your villain needs some originality. Audiences quickly become desensitized to common monsters such as vampires, werewolves, and zombies. 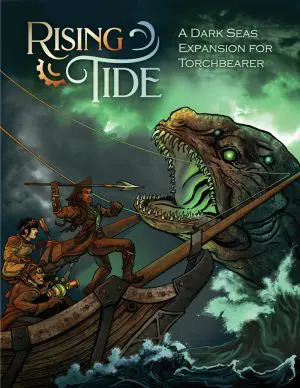 If you’re using a well-known monster for your antagonist, they should buck some trends and set some of their own. 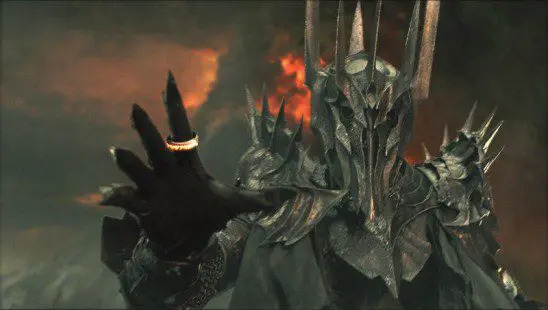 Sauron is threatening mostly because he’s distant. What we imagine is scarier than what we know. The better your audience understands the villain, the less threatening that villain will feel to them. Unless you want a sympathetic villain like Carrie, don’t narrate any scenes from their viewpoint. Viewing them from the outside will make them seem more hostile and dangerous. If your villain doesn’t use conversation as their means of enacting violence, don’t let them speak more than they need to. Hearing the villain speak demystifies them. If your hero meets the faceless necromancer in the woods and has a long conversation, that will reduce the sense of threat. However, if the hero just sees her disappear into the fog or hears only “soon, love…” that can build the tension. The less exposure your audience has to the villain, the more menacing you can make them feel. Consider hiding the full details of their appearance until your climax, when the hero finally has to face them. 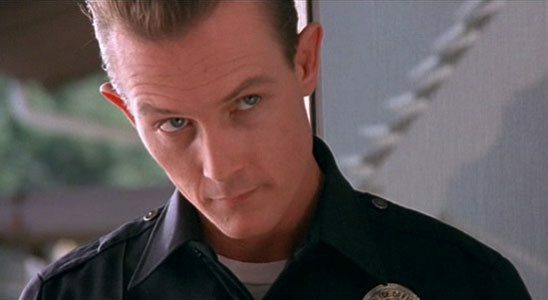 In Terminator 2, the T1000 is not just indestructible, he can also impersonate humans. He uses a police officer guise to question John’s foster parents. Your villain should be smart and effective, able to outmaneuver almost any opponent. Otherwise, the terrified villagers or threatened settlement would have already found a way to get rid of them. Your antagonist shouldn’t be so eager for bloodshed that they sabotage themselves. Don’t let them murder their best servants or fall for an obvious trap with tempting bait. To maintain their potency, you’ll need to let them do real damage during the story. If they’re a killer, let them kill some heroes. If they want to take control of the settlement, have them do that shortly before the climax, then make your hero turn it all around. If you let them lose a fight, their effectiveness as a threat will be reduced. Keeping them on the winning side can be tricky because you can’t let them kill your main character. If you have a longer story or series, give them a goal that requires your hero to stay alive for a while or at least doesn’t require their death. Avoid excuses about how your villain wants to discredit the hero or watch them suffer; it’ll just show your audience how foolish they are. Your villain should be so effective that your heroes feel helpless against them. If the necromancer enthralls anyone who sees her, or BioGen Corp knows every secret the heroes have hidden, they’ll be harder to defeat. 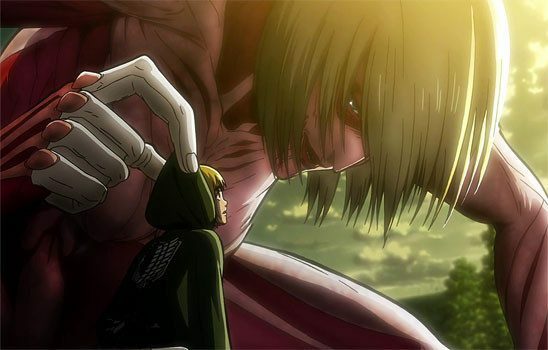 In Attack on Titan, as soon as the heroes figure out how to defeat titans, they run into an intelligent titan who neutralizes all of their tactics. Threat requires novelty. It doesn’t take long for audiences to become desensitized to antagonists, especially if they aren’t killing significant characters. That’s why you need a ramp of escalating threat for your heroes. Start small. At the beginning of your story, the weakest minion your villain has should feel truly threatening. If you don’t have minions, use the big bad, but make them remote at first. Your hero might watch out the window as their brother disappears into the woods one night, never to return. Only later would they discover the villain is responsible, when they start catching fleeting glimpses of them in the trees outside their window. Then you can level up your hero enough to fight off the weak minion or withstand the villain’s call through the woods. This allows your hero to win some conflicts without making your villain feel ineffective. Consider including setbacks. Your hero might wrest an important item from a common mook, only to have it stolen back by a more powerful servant. If you want a heart-pounding climax, don’t let your hero become so badass that they think they can challenge the villain. They should still feel helpless. They’ll face the villain because they have no other choice. Don’t forget to leave a believable way for your heroes to defeat the villain – even if they don’t. 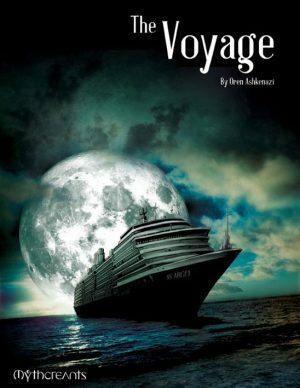 If you want a tragic ending, it will provide some dramatic irony. Perhaps your heroes played right into the villain’s hands. If you want a happy ending, your heroes need to win through their own ingenuity. Let them piece together the dark origins or true nature of your villain and then use that knowledge to defeat them. I completely agree. Wonderful article. Quick question about the last part of this: “Don’t let the hero become so badass they think they can take on the villain.” Can this be utilised in a way where the hero becomes badass because of a string of successes, whatever they may be, and think they can take on the villain, they do, and they’re still not good enough to win? Could that add to the suspense and show the villain is truly competant, rather than making the hero feel OP? Absolutely. What you’re actually doing in that case is dealing out karmic punishment to the hero for being overconfident/prideful. I think my phrasing was a little off in that sentence, what you generally don’t want is for the audience to think the hero will have no problem picking off the villain, because then there’s no tension. With a string of successes, that could be an issue. Generally instead the hero would get some training or learn a new combo and think they can just mop up the villain with no effort. The audience in this case would know the hero is being overconfident, so there would be lots of tension because they will be expecting that karmic punishment. The twist might be better if the audience thinks the hero will succeed, but you’d have to be really careful with that so they aren’t snoring by the time they get to the fight.